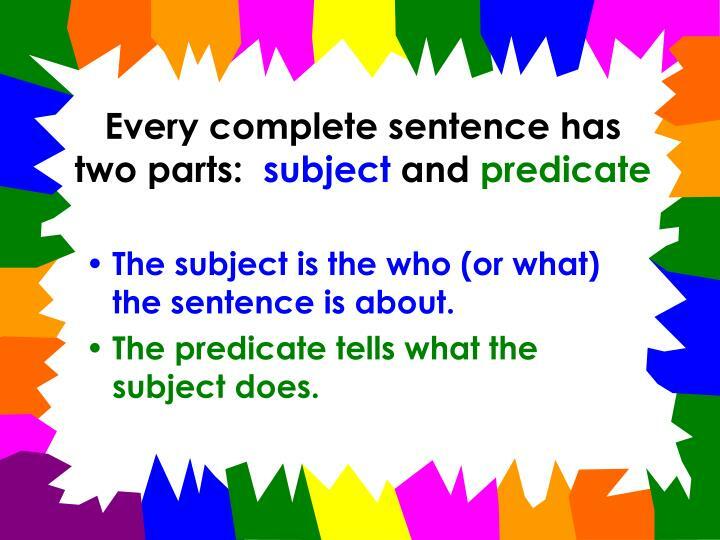 The subject is the who (or what) the sentence is about. 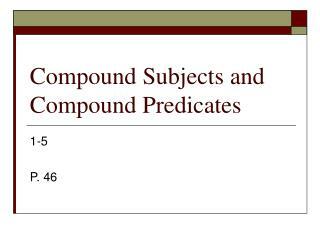 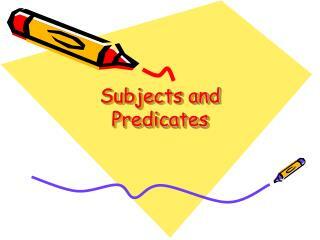 The predicate tells what the subject does. 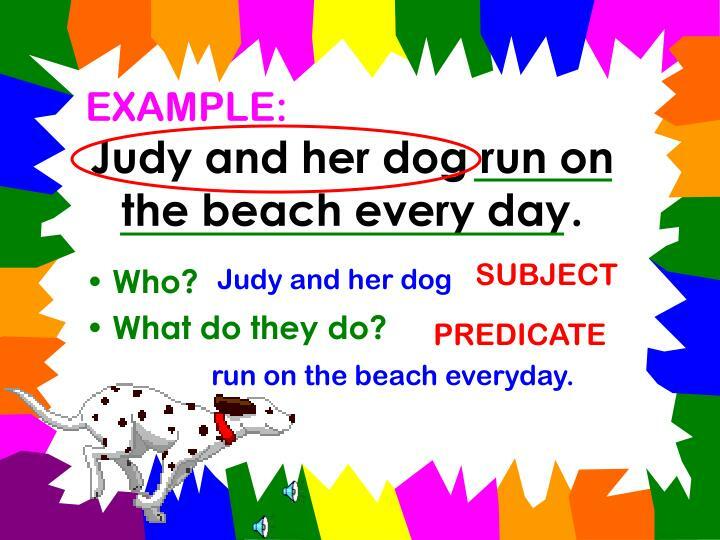 Judy and her dog run on the beach every day. 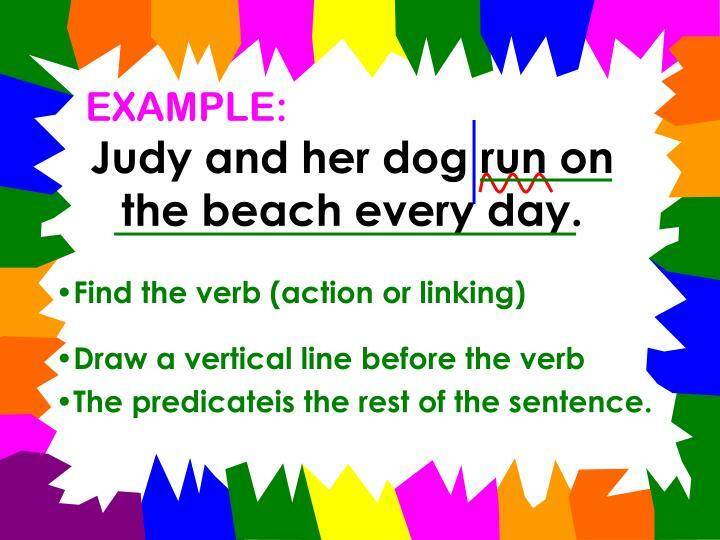 run on the beach everyday. 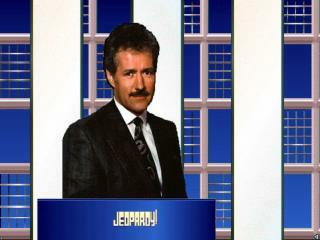 Ask what does it do? 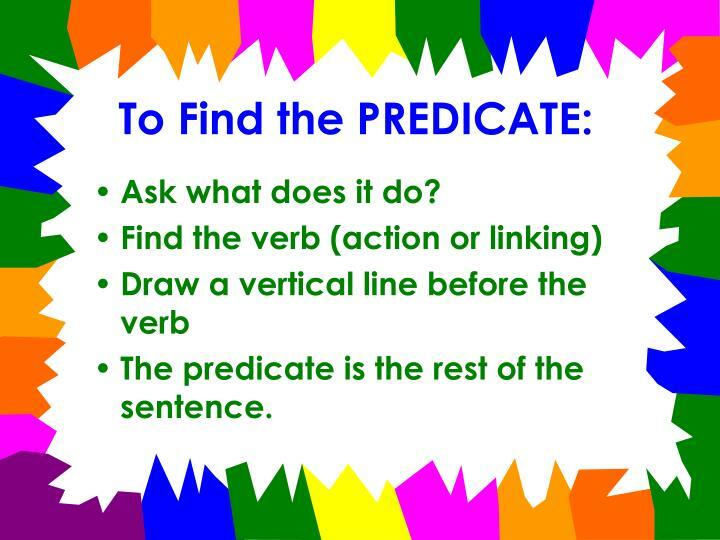 The predicate is the rest of the sentence. 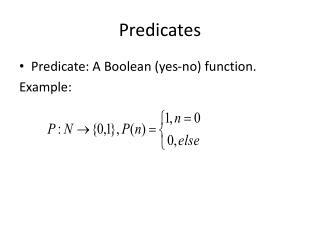 The predicateis the rest of the sentence. 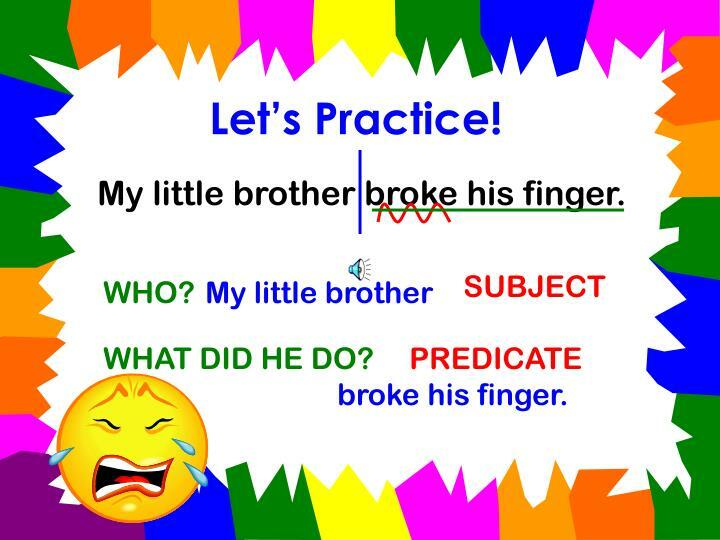 My little brother broke his finger. 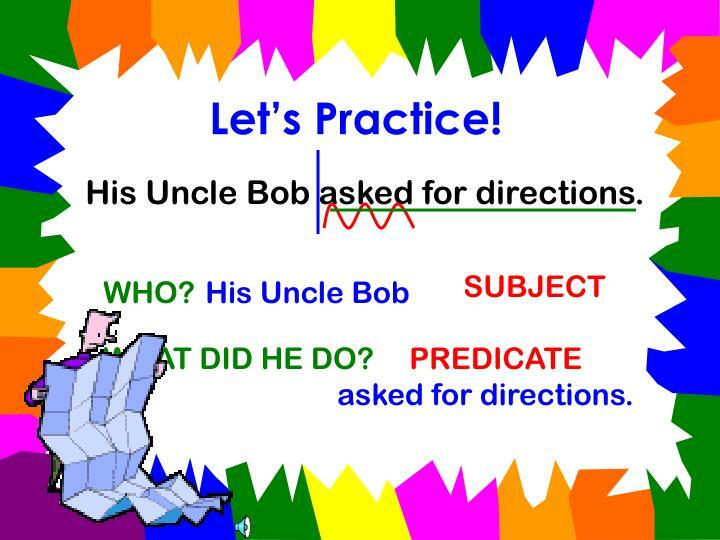 His Uncle Bob asked for directions. 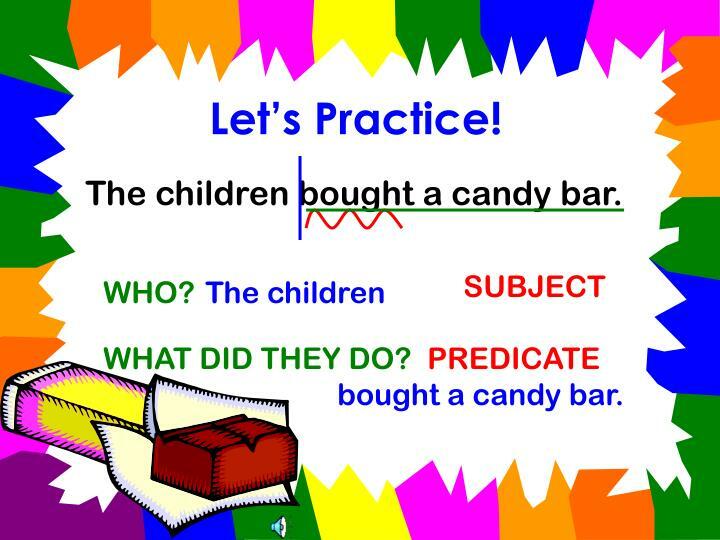 The children bought a candy bar. 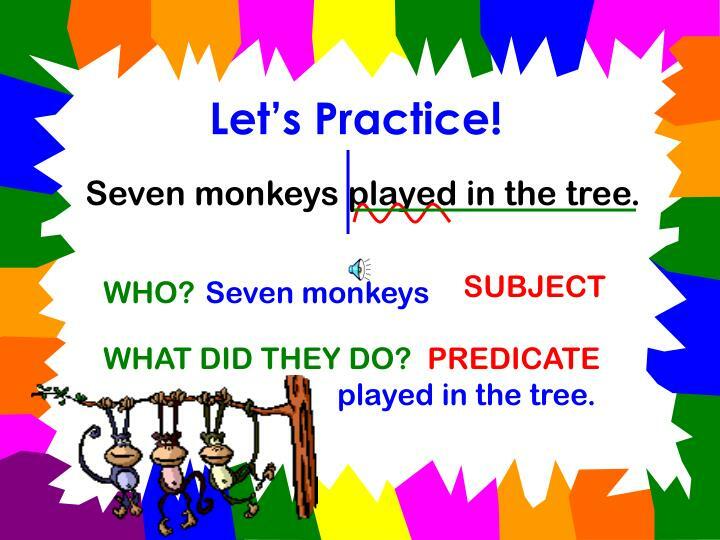 Seven monkeys played in the tree. 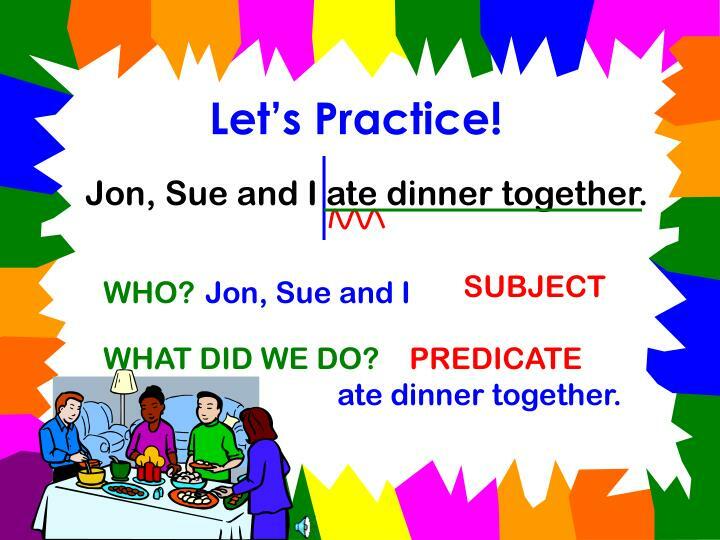 Jon, Sue and I ate dinner together. 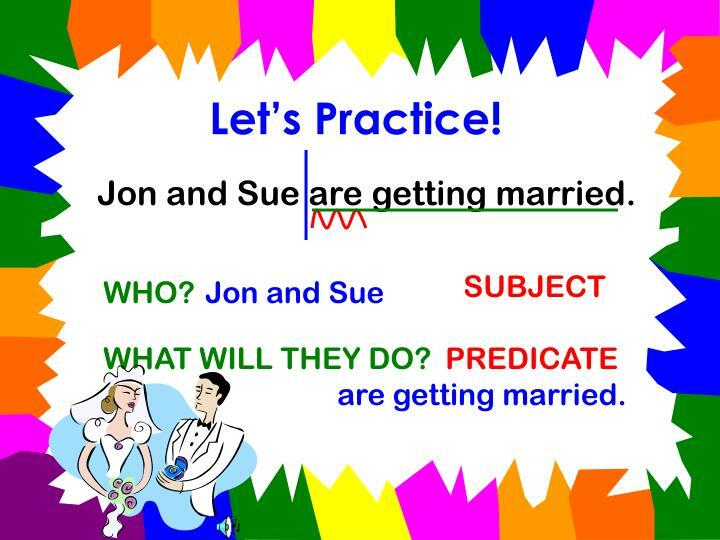 Jon and Sue are getting married. 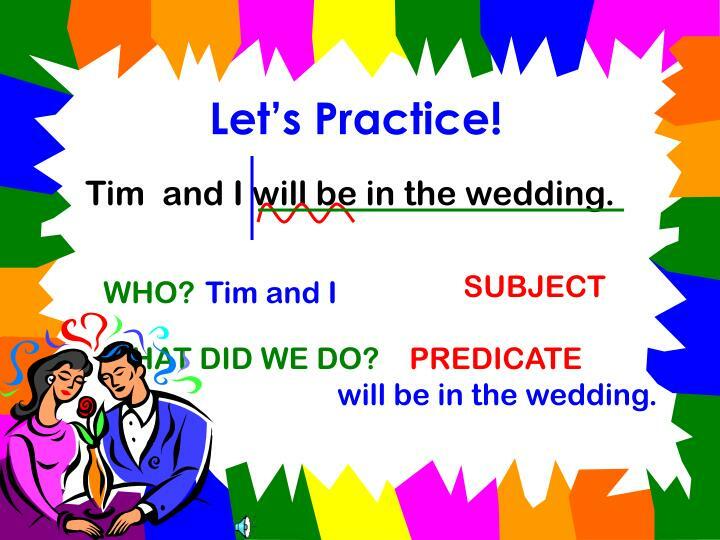 Tim and I will be in the wedding. 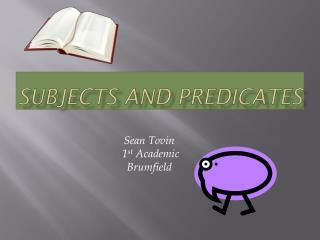 will be in the wedding. 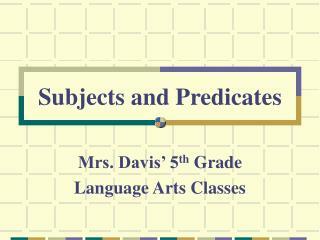 Ask what does the subject do? 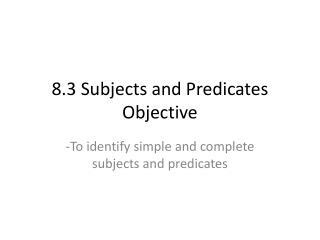 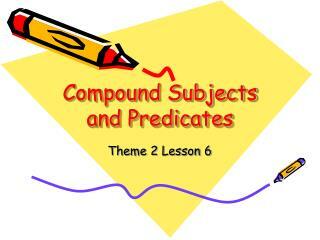 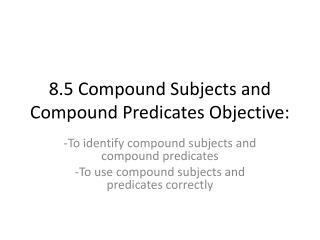 Complete Subjects and Predicates -Complete subjects and predicates. 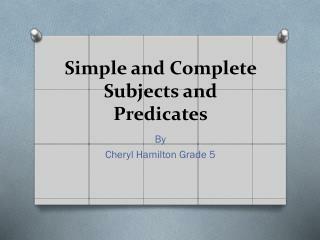 simple subjects. 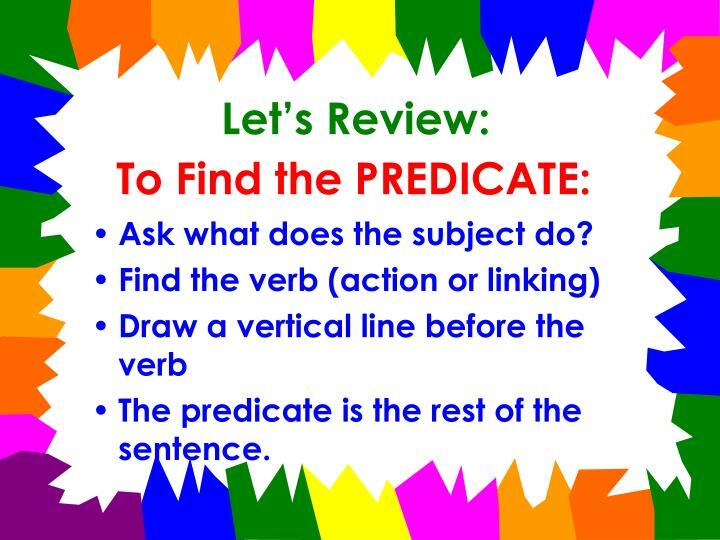 simple predicates, or verbs. 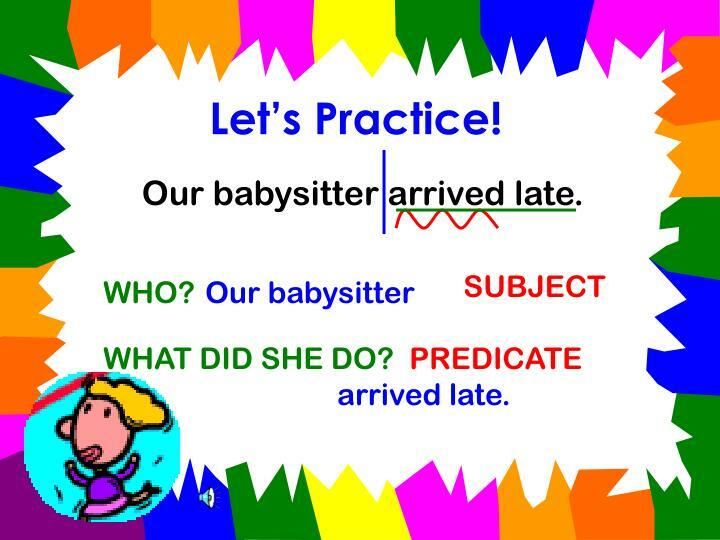 verb phrases. 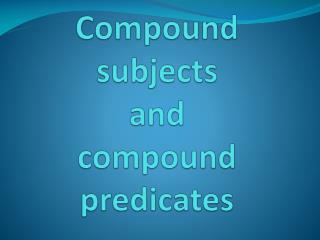 compound sentence parts. 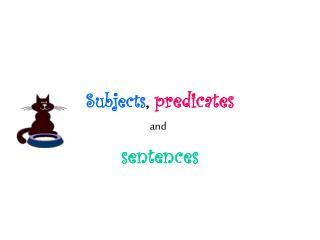 kinds of sentences. 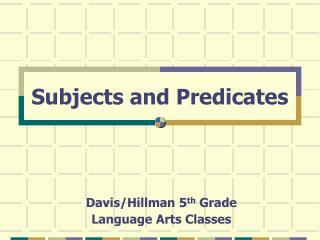 complete subjects and predicates. 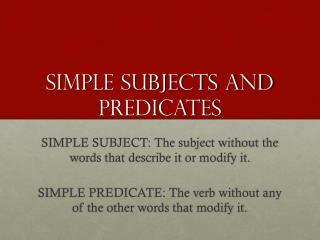 simple subjects. 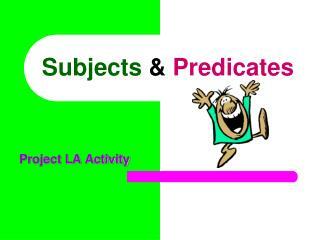 Subjects and Predicates -. 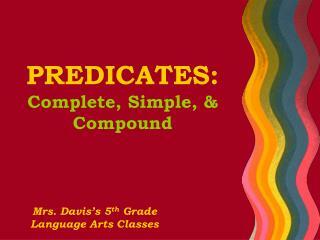 complete subjects and predicates. 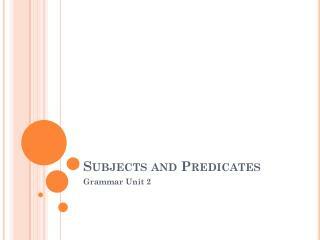 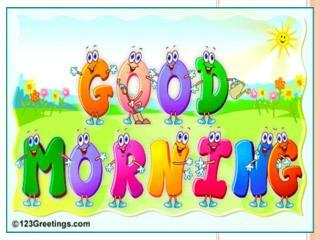 every sentence has two parts, a subject and a predicate. 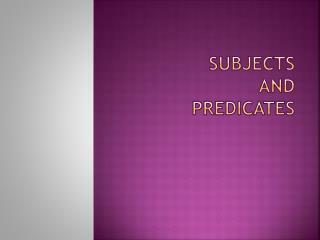 the subject tells whom or what the sentence is about. 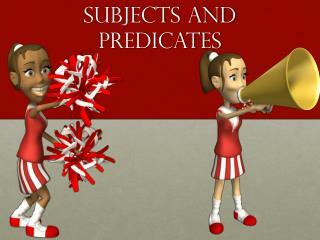 the predicate tells what the subject does, has, is, or feels. 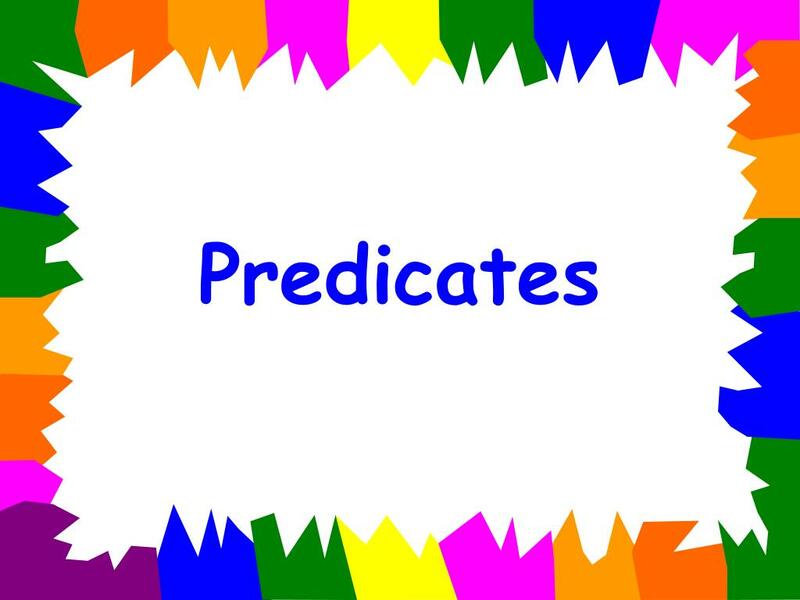 Unit 5 PREDICATES -Unit 5 predicates.